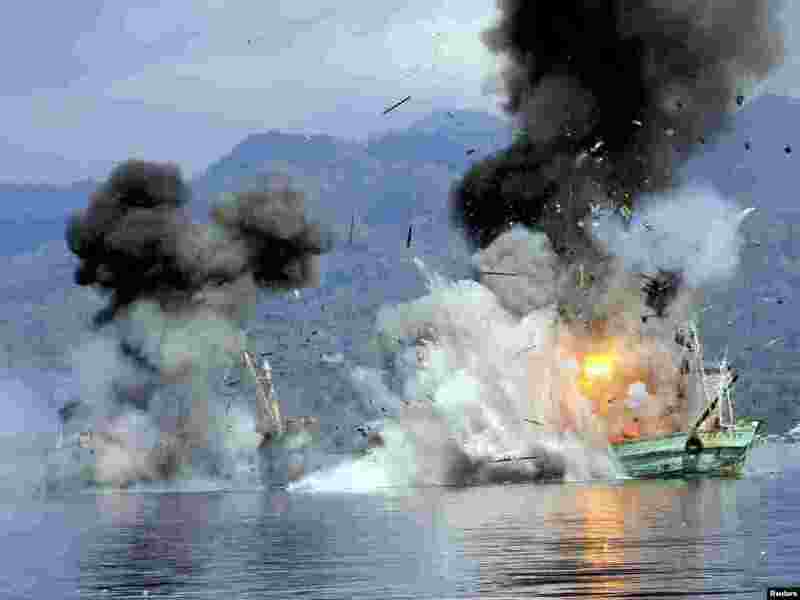 1 Two foreign-flagged fishing boats registered in Papua New Guinea are destroyed by the Indonesian Navy after they were seized earlier for supposedly illegal fishing off the coast of Ambon, Maluku. 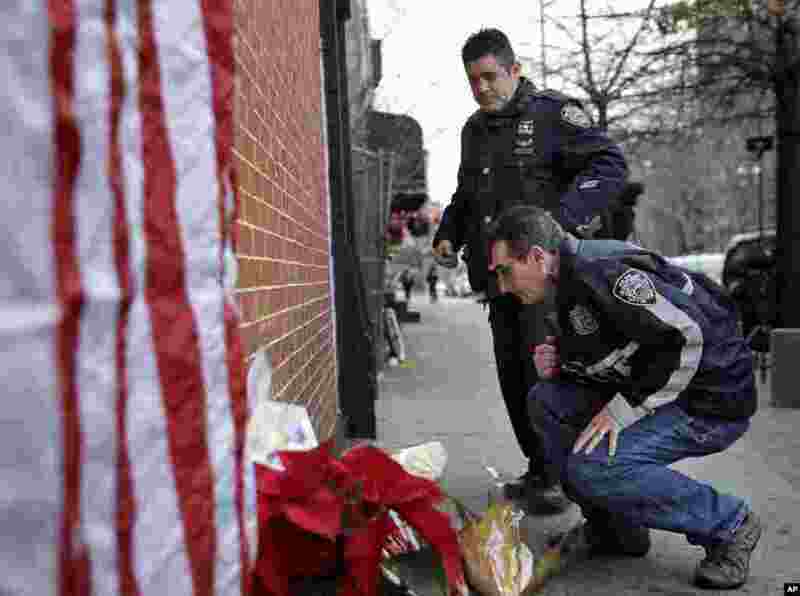 2 Police officers leave candles at an impromptu memorial near the site where two New York City police officers were killed in the Brooklyn borough of New York. Police say Ismaaiyl Brinsley ambushed officers Rafael Ramos and Wenjian Liu in their patrol car in broad daylight on Dec. 20, 2014, fatally shooting them before killing himself inside a subway station. 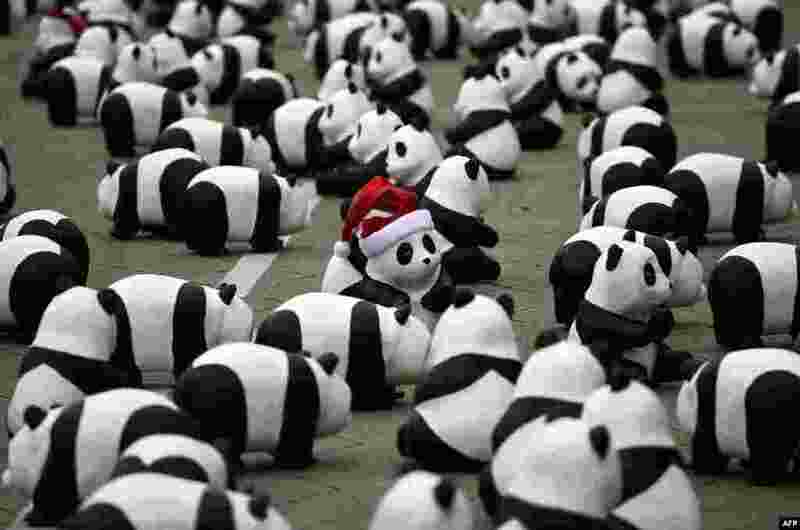 3 Some of the 1,600 papier-mache pandas are displayed at Independence Square in Kuala Lumpur, Malaysia, as part of their first appearance in the city. 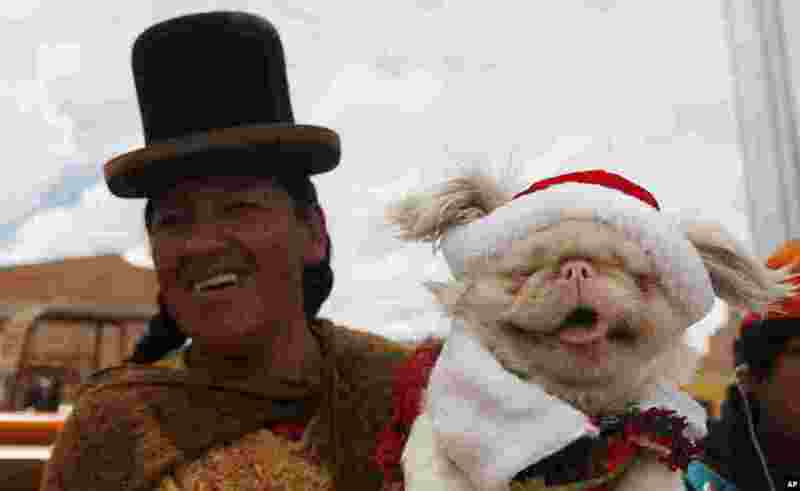 4 An Aymara indigenous woman carries her pet to a Christmas costume contest for dogs in El Alto, Bolivia, Dec. 20, 2014.